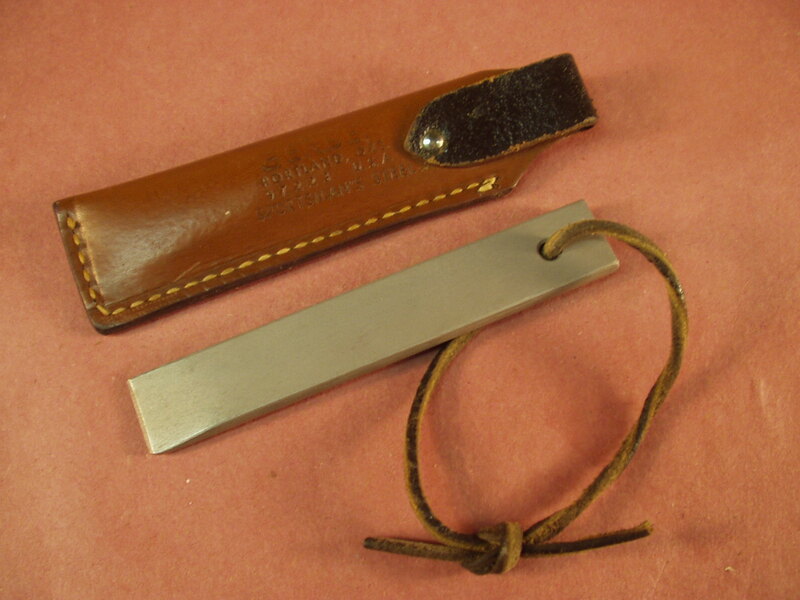 Gerber First made and branded their Sportsman’s sharpening Steel’s back in the mid 1960’s. 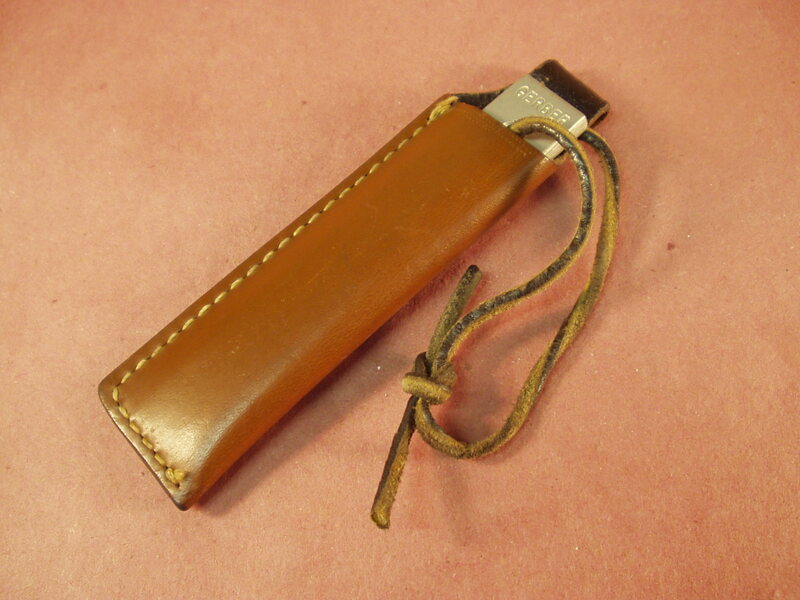 The First Gerber Mark II knife was offered with a leather sheath pouch & steel at an additional cost. 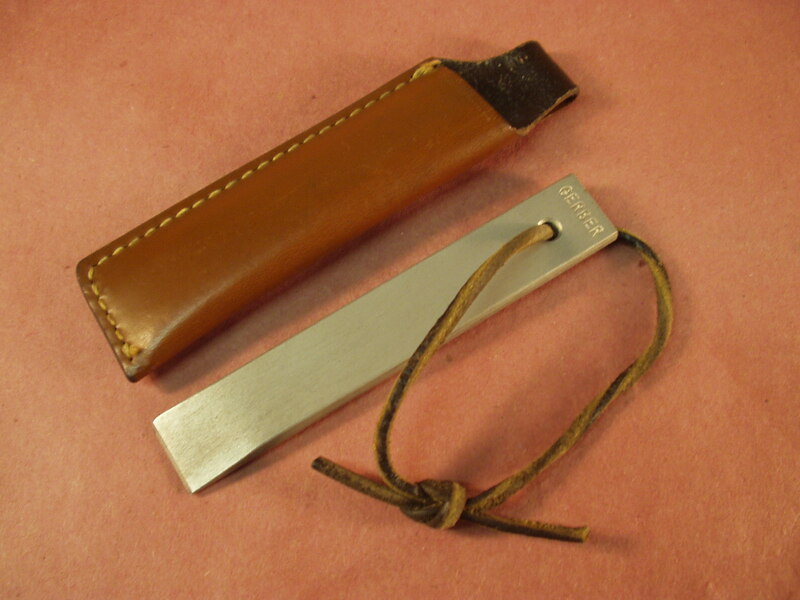 The early steel’s had the Gerber stamped on the top of the steel in small letters, after abut 1971 the Gerber stamping was much larger. The one offered here is an a latter production steel. This steel is in Near MINT condition and shows no signs of any use. 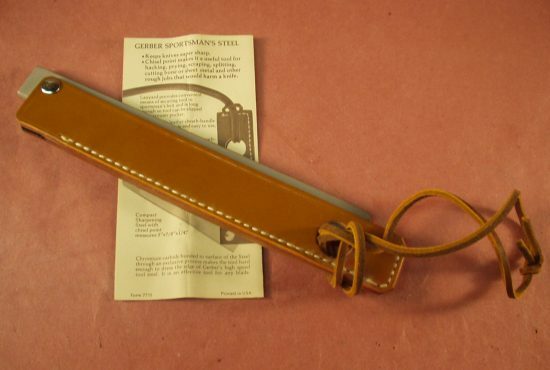 The leather sheath is correct to the steel and is marked Gerber Sportsman Steel on the reverse side. 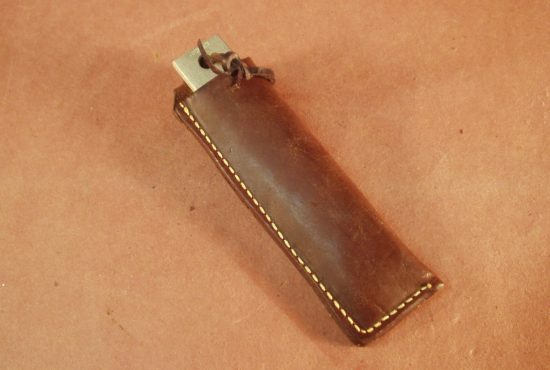 The sheath remains in Near Mint condition with tight stitching and No age markings or discoloration. 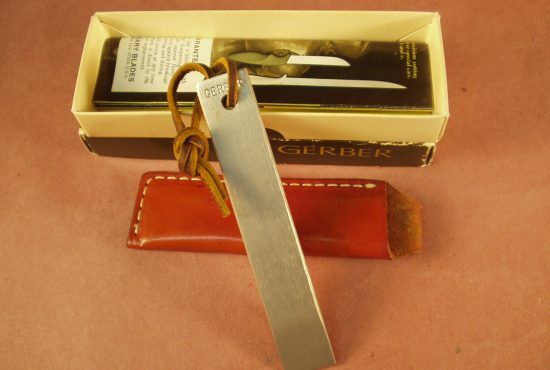 The Gerber steels could be bought separately from Gerber but were also an option with the Mark II’s as well as some of their Armorhide and sportsman model knives. 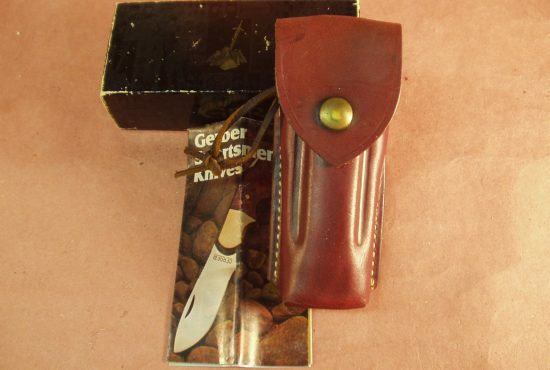 Gerber discontinued the sportsman steels in 1993. About 5 years ago they came out with a new release but I do not believe they were made in USA and they lasted for only a year or so before they were discontinued.